Early Friday, January 23, 2015, Bonnie and I, with our son Raymond driving us, headed for Jackson, MS so Bonnie could receive treatment for pancreatic cancer. Since Sonic wasn’t open yet, we diverted to McDonalds for a quick breakfast en route to a series of three appointments at Baptist Health Systems. Following our 90-mile drive down I-55 from Winona, MS, we three arrived at the cancer center about 8:34 a.m. – only about four minutes late. However, Bonnie and I didn’t get in to see the doctor until about 45 minutes later. Her oncology radiologist explained the significance of a recent CT scan following 28 doses of radiation. In addition, he clarified the findings from analysis of the 4.6 liters of fluid drained from Bonnie’s abdomen a week ago. The tumor on Bonnie’s pancreas did not shrink so far from radiation, but neither did it grown any bigger. The fluid that was drained developed as the body’s defensive mechanism to fight off cancer cells that broke off of the tumor and that are moving about in the abdomen. Some swelling has reoccurred since last Friday, with attendance discomfort and pain, but there was insufficient fluid build up to drain any more at this time. The second appointment was scheduled for 9:30 a.m., though we did not see the nurse practitioner until about 10:45 a.m. The oncologist, although not scheduled to see Bonnie today, also participated in the session. New pain medication will be tried to help find elusive, consistent relief from pain. Chemotherapy was adjusted to combine a second cancer drug in the treatment, and because of the expected toll on blood counts, for now, treatment will be once week every other week. Since there was no room in the inn, so to speak, Bonnie could not receive chemotherapy today in the oncology department, but had to go instead to the hospital’s outpatient infusion department. Only one family member could accompany Bonnie for treatment, so I had Raymond go with his mother, and I waited elsewhere. The appointment was for 11:00 a.m., but treatment didn’t begin until around 1 p.m.; treatment ended about 3 p.m.
Bonnie has lost considerable weight over the past months, though some of that is masked often because of bloating for various reasons. She lost 16 pounds this past week, in part due to the removal of the fluid buildup. Following chemo, Bonnie was tired, but eventually the steroid that accompanies her chemotherapy buoyed her. Saturday or Sunday she will crash physically. Tonight, however, she probably will be too wired to sleep. Bonnie advises me that she will use this as her special prayer time. Raymond treated us to a nice meal at Cracker Barrel before our return trip to Winona. During the time today for treatment, I was able to make proofing corrections on sections from two upcoming editions of The Voice of Truth International; before going home, we stopped by the home and office of Betty Choate and passed the proofed pages to her. On the way home, Bonnie traded texts and phone calls with dear brethren and friends to update them about her health and treatment. In addition, Bonnie found the courage to comfort one of those dear friends regarding the crisis with pancreatic cancer that her husband and she are experiencing a few states away from us. God sent Bonnie to Martha and Bob via cell phone to be His comforter for them (2 Corinthians 1:3-4), and that was only possible because of the practical experience Bonnie has known with her pancreatic cancer. We lean on each other to limp through this low world toward the glory land reserved for us. All of God’s children lean on each other and upon God Himself. Thank you for allowing us to lean on you, Reader, Friend, Christian as well. This blog entry was written by Bonnie Rushmore at my (Louis Rushmore) request. The following is Bonnie’s firsthand account of one recent day in her life. Friday, January 16th I was scheduled for a CT-Scan in the morning and chemotherapy in the afternoon in Jackson, MS. I was in a quandary what to do. I needed to keep these appointments if possible, but Louis returned home Thursday afternoon from emergency gallbladder surgery, and I was hesitant to leave him all day by himself back in Winona. Finally, we decided that we accept Paula Bates’ offer to take me to Jackson (I cannot drive that far), and Betty Choate would check on Louis throughout the day. Rebecca was to arrive around 5:00 p.m. Louis, being independent, he refused any offers of help from Betty for meals and any assistance. I am sure he overdid things since no one was there to try to stop him. Paula picked me up around 9:15 a.m., and we were on our way. The CT-Scan appointment was uneventful, and we went to the cafeteria for lunch before my scheduled appointment with the oncologist and chemo. While waiting for this appointment, Louis sent me a message that our son, Raymond, was flying into Memphis at 12:30 p.m., and so Rebecca would wait to come to Winona after she picked him up at the airport. The oncology office was running behind schedule. I did not see the doctor until 3:00 p.m. The CT-Scan showed a large fluid sac in the abdominal cavity, which explained the excessive bloating, pain and swollen abdomen. It was decided that I should skip chemo and immediately go to radiology to have a paracentesis to drain the fluid. This procedure could take 3-6 hours. Again, what to do? Louis is sitting home by himself, and Rebecca will not get in until the wee hours of Saturday morning. I called Louis, and he assured me that he was fine and to have the procedure. So, radiology was called to perform the procedure; however, they would not be able to stay late enough to drain all the fluid. They suggested I go to the ER, and the radiologist would stay long enough to insert the drain tube, and the ER nurse would monitor the drainage. A nurse from oncology wheeled me down to the hospital ER. Finally, around 8:00 p.m., after draining 4.6 liters of fluid from my abdomen, I was discharged, and we headed home. The CT-Scan shows no significant changes from the scan in September that discovered the tumor and recurrence of pancreatic cancer. I will continue on chemotherapy for at least another three months, and I will have another CT-Scan to look for changes. Thank you for all the cards, phone calls, text messages and most importantly prayers as we travel along life’s bumpy highway. As one good brother in Burma said, “Why should humble and hardworking people get sick? Oh! We are still in the world.” As long as we are on earth we will face trials and tribulations. They can make us stronger, more dependent on our heavenly Father or they can pull us away from God. The choice is ours! As Though It Were Scheduled! Thursday, January 8, 2015 I published Gospel Gazette Online to the Internet. This issue kicked off our 17th year of continuous publication. The Gazette is published monthly and has been since 1999. Meanwhile, Bonnie and I, along with others, continue to prepare the next quarterly issue of The Voice of Truth International for publication. It is printed primarily in English but also in numerous foreign languages and Braille; VOTI also serves as a feeder magazine for various publications, especially in India. Saturday, January 10, a group of members from the Collierville, TN Church of Christ drove the two and a half hours to work in our combination warehouse and office. Together, we accomplished a number of things that day (e.g., replace 8’ fluorescent light bulbs or ballasts where necessary, restocked shelves from which we draw books daily to fulfill stateside requests for literature, prepared two separate mailings of The Voice of Truth International, packaged priority mail boxes for overseas shipment, packaged boxes of books for preachers overseas, loaded about 1,200 pounds of literature in our car ultimately bound for Guyana, South America and packed promotional bags to give away at an upcoming lectureship program). With this kind of help, we accomplished more than the Winona Five could have found time to do over a period of months. We are thankful for such interest and help behind the scenes in missionary work. Later that afternoon, Bonnie, Rebecca and I drove to our daughter’s home in Collierville. That put us in position for me speaking the next day for the East Frayser Church of Christ, in northeast Memphis. Sunday morning during worship, I preached, “Understanding How God Communicates with Mankind, Today.” Bonnie and I were treated to lunch by an elder and his wife. Later in the day, I made my PowerPoint presentation about our 2014 Guyana Mission Trip. We were well received and encouraged. Monday was a long day. Bonnie and I carted the 1,200 pounds of The Voice of Truth International, books and tracts to Nashville, TN to leave with a shipper for Guyana. We packed 1,820 loose copies of VOTI in 75 gallon fiber shipping barrels; they and the thousands of tracts and hundreds of books also packaged in shipping barrels will be distributed through the churches of Christ in Guyana, South America. We packed three barrels before returning to Collierville. Tuesday, Bonnie and I scurried down I-55 back to Winona in time to convene with other associates a meeting of World Evangelism team members. Of course, we ate first (leftovers from feeding our workers on Saturday). For the past few days I had been experiencing pain after eating a meal, but beginning Tuesday afternoon, the pain became relentless and excruciating. 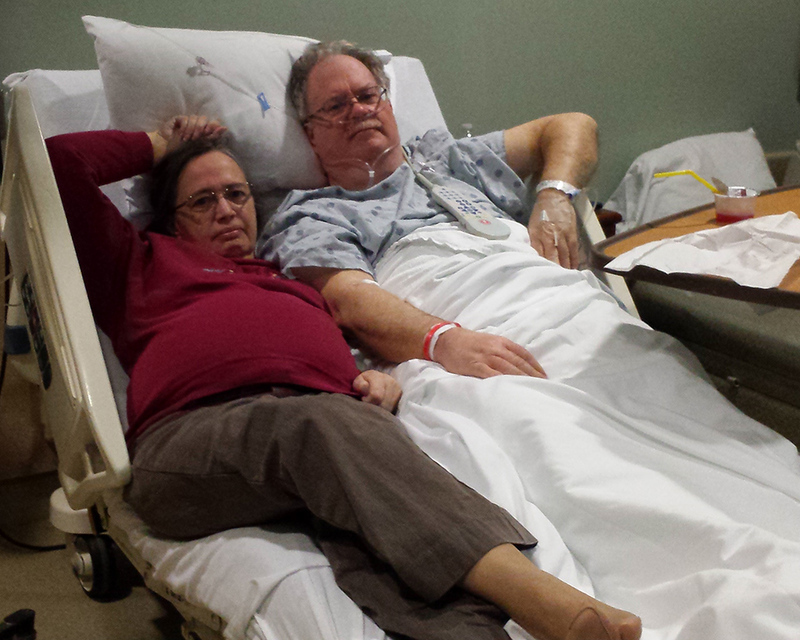 Around 9:30 p.m., I had Bonnie drive me to the local hospital emergency room. A few tests and hours later, I was loaded on to an ambulance and transported to Baptist Health Systems in Jackson, MS. The suspected culprit for my pain was a bad gallbladder. Two morphine shots while being treated in Winona did not lessen the pain any at all. Administering fentanyl in the ambulance along the way finally took the edge off the pain, a good thing in view of the bumpy ride especially on city streets in Jackson. While in the ER in Jackson, pain was eradicated when I was injected with still another pain medication, dilaudid. There was no room in the hospital, which initially led to doubts if I could be admitted to any hospital in Jackson, as they were all full up. Consequently, I remained in the ER until there was an opening for surgery. In the meantime, a sonogram confirmed the findings of blood and urine tests and a CT scan – enlarged and enflamed gallbladder. Surgery occurred around 10 a.m. on Wednesday, and after quite a while in recovery, I was wheeled into a room. Ordinarily outpatient surgery, my surgeon kept me overnight in the hospital due to the intensity of the attack and that we live 90 miles away from the hospital. Brothers Gary Hampton and Derrick Broome caught up with me immediately before surgery, and we had a prayer together. Sister Bonnie Schmitz brought Bonnie down to be with me; my Bonnie cannot drive that far due to her medical conditions. Bonnie stayed with me in the room and overall was sicker than I was. Thursday morning my doctor discharged me around 7:30 a.m., but we could not leave the hospital until around 11 a.m. as we waited for paperwork and personnel to direct their attention to my discharge. Bonnie was feeling poorly, and so we rode twin wheelchairs to the curb. Brother Adam Fowler retrieved us and drove us back to hour home in Winona, since neither Bonnie nor I can drive right now that distance. He and his wife Melanie visited us in my hospital room the evening before. After our arrival in Winona, I got brother Adam to load four cases of printing that arrived in our carport today into his car and unload them down the road at our warehouse/office. I can’t lift anything right now, so say my four small incisions. Next, we called sister Betty Choate to get a pain medicine prescription filled for me, again since neither Bonnie nor I can drive momentarily. Today, sister Paula Bates took her husband Jerry to an airport for an overseas mission trip. Tomorrow on Friday, Paula will take Bonnie back to Baptist Health Systems for a CT scan and chemotherapy; the radiologist, oncologist and we are interested to see whether 28 doses of radiation shrunk the tumor on Bonnie’s pancreas. While Bonnie and Paula are in Jackson, I will remain in Winona with little activity, hoping not to hurt and to heal; sister Choate will be on call to care for me in the absence of Bonnie. Friday, I will resume my medications and be able to shower. Bonnie and I look like pitiful bookends! By next week I should be much more active, though my lifting restrictions may extend for a while beyond that. Thank you for your interest and prayers. We continue to glean encouragement from friends and brethren through their phone calls and texts. It almost looks like we scheduled the gallbladder attack along with the other scheduled events over the last few days. Comments: Comments Off on As Though It Were Scheduled! Periodically, we published a blog, which was visited 6,300 times over the course of 2014. 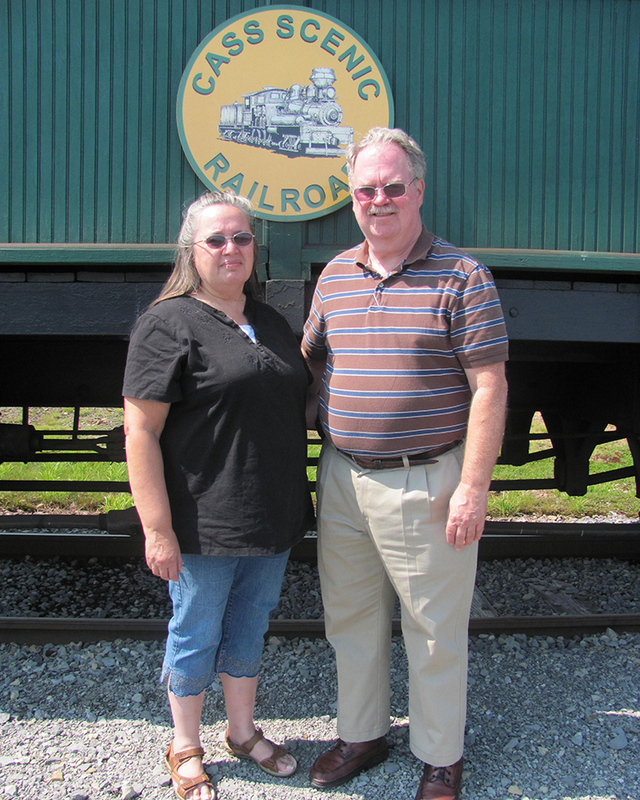 In the blog, we chronicled stateside visits to churches of Christ where either Bonnie or I or both of us presented biblical lessons or apprised brethren about our mission work. Whereas Bonnie spoke to ladies’ classes, I spoke to elders, preachers’ meetings, Bible classes and worship assemblies. Bonnie and I were able to travel together on a 4-week mission trip to Guyana, South America, and we posted information and pictures regularly about the progress of that effort. It was unsurpassed in personal gratification and we think in usefulness for the cause of Christ among the various endeavors in which we invest ourselves. A special program for the India Missions Conference, of which we were cohosts, had its representation on our blog, too. 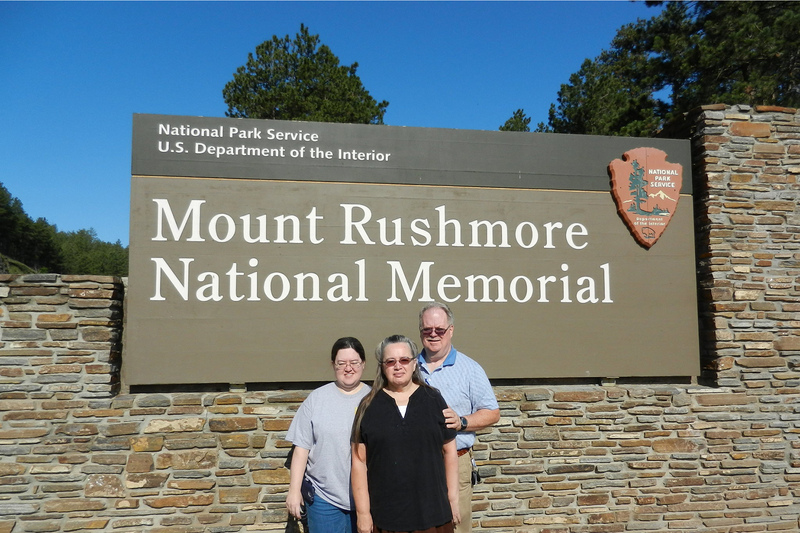 Readers could vicariously travel with Bonnie, our daughter Rebecca and me as we visited my uncle Mount (Rushmore) in South Dakota in 2014; I’m just a chip off the old block. Work groups that visited the World Evangelism Building in Winona, Mississippi were duly noted in the blog as well. In addition, we kept visitors to the blog up to date regarding Bonnie’s medical battle against the resurgence of pancreatic cancer. Blog readers found us through following our blog or followed links from either our Internet magazine Gospel Gazette Online or from our Facebook pages. Our blog readers reside in 80 countries spanning the globe with the largest percentage of readers living in the USA, India and Guyana. Bonnie and I participated with other core World Evangelism team members in publishing four issues of The Voice of Truth International, which is distributed in dozens of countries in numerous languages; 40,000 or more of the 116-page magazine are published quarterly. Furthermore, dozens of new tracts and several new books were published and made available stateside and abroad. Thousands of pounds of Christian literature and books were shipped overseas at no charge to the recipients. In December, Gospel Gazette Online completed 16 years of uninterrupted publication on the Internet. Thousands of articles remain archived and digitally available to anyone worldwide who has Internet connection. Work is underway for the continuation of Gospel Gazette Online in the new year. 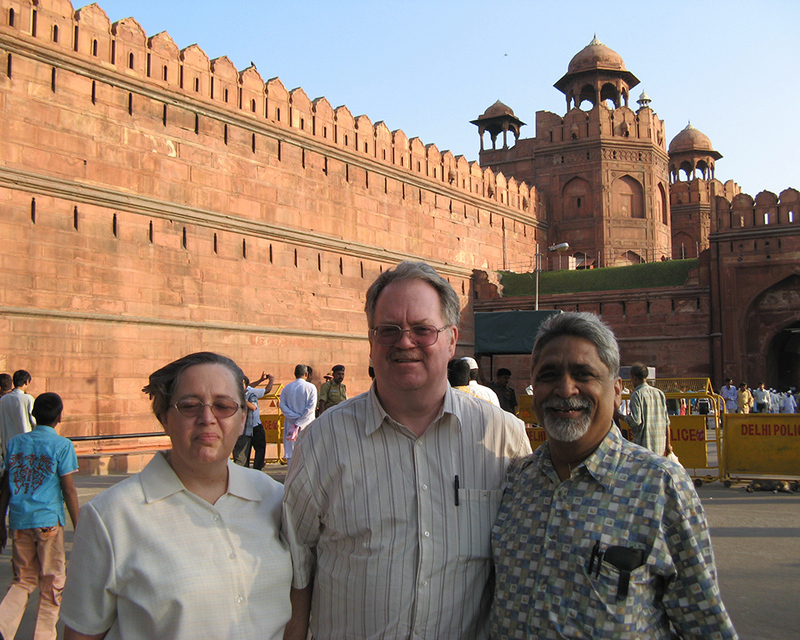 In 2014, the Rushmore Evangelism Fund assumed the responsibility of seeing to the funding and payment for a Hindi language TV program broadcast from New Delhi, India. We have made provisions to provide financially for its continuance for a dozen years or more. This could only be made possible by the generous donations of Christian brethren here in the States. Typically, Bonnie and I travel up to 3,000 miles monthly stateside by car as we teach or update brethren about our mission work. In addition, we usually spend three months overseas annually working in the countries of India, Sri Lanka, Myanmar, Singapore and Guyana. Both stateside and travel abroad were impacted in 2014 by Bonnie’s medical condition as she continues to experience difficulties from prior surgeries and now that her cancer returned. Two days before we were to board airliners for a 9-week mission trip to four Asian countries, we got the bad news that Bonnie needed immediate medical treatment for a suspected rebounding of pancreatic cancer, which proved to be the case. Bonnie continues to undergo a battery of treatments, and every day is a challenge for both of us, with Bonnie, of course, bearing the brunt of it all. Summarized, 2014 was a good year in which we feel that we made a difference for the cause of Christ. Daily, adapting as necessary, we continue to make a difference in the service of our Lord Jesus Christ. The Voice of Truth International and Gospel Gazette Online continue unabated, of course, in partnership chiefly with sister Betty Choate, Jerry and Paula Bates, and Byron and Gay Nichols. Typically, we still go to the office/warehouse weekdays to help with shipping and a myriad of other behind the scenes that make the ministry in which we are involved successful. We are thankful to the sea of Christians who make it possible for us to do what we do for the cause of Christ in the USA and across the world. Thank you for your prayers.